I am in the anti-resolution camp. I was trying to figure out why. Maybe it’s because I am too pessimistic and cynical. Maybe it’s because life has seemed so out of my control in the past few years. Maybe it’s because my failure meter is too high – I already know I won’t meet up to my standards this year, why set up something to specifically remind myself of how I don’t measure up? I understand the purpose of resolutions is to actually meet them, but how often does that truly happen? Although I don’t make resolutions, the past few years I have started doing one word for the year. This has its own hashtag #OneWord365 so you know it is a real thing. The idea is to choose a word that you want the year to encapsulate or that you want to focus on. I thought about my word last January. I thought of choosing Light. I was thinking a lot about light, being so surrounded by darkness, but it seemed too abstract. I thought about Restore. I knew we needed restoration and I thought that we had passed the worst part of depression and sickness and surely things would start looking up after the new year. 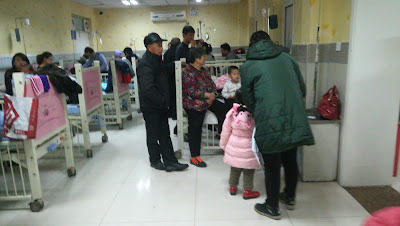 Then I spent most of January and February completing our “world hospital tour.” The flu in Cambodia, a terrible stomach bug in Thailand, another stomach bug in Myanmar. When we finally had a month of health, I realized that despite the relief antidepressants had brought, I was still having trouble completing simple daily tasks. We took a trip to Beijing so I could get a few days of counseling, because that kind of help is 500 miles away. Then we came back and I got pneumonia and the semester ended in a fog of sickness that reached ridiculous proportions. So I forgot about choosing a word for the year. I’m glad I didn’t choose a word last January because once again the year has not turned out at all like I would have planned or hoped. This was not a year of restoration, more of demolition. Although I have realized that the mess of tearing down is often the first step of building up something new. But now, five days before the end of the year, I would like to choose my word for 2017. The timing seems entirely appropriate for the year it has been. Despite the ridiculousness and difficulty of the past year, as I look back I realize it hasn’t been terrible. It’s funny that I would think this because I also feel that most things have not gone well this year. Way too much pneumonia and asthma and flu. Crappy discipline, too much anger, and out of control children. Little contact with students and sometimes with the outside world in general. Not enough exercise and too much stress eating. Pretty much nothing that would be described as success. The other day I got an email from a wise friend who understands. She said, “There is a lot that I don't know about my identity right now, but I do know that I have been faithful... And that is what the Lord asks of us…"
And despite all the failings, all that was out of our control and didn’t go how we wanted, this is what I see looking back on this year. We have been faithful. We stayed when things were hard and we were just trying to keep everyone alive another day, trusting that God would care for us and provide what we needed. And he did – not at all in the way I would have asked for it. We sought help when we needed it. 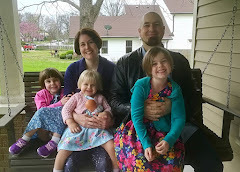 We have made the difficult decision to uproot our family for a year for the sake of our health and well-being, trusting that God will work out all the overwhelming details - details like where we will live and work in America and where we will live and work when we come back. More than that, God has been faithful. He has sustained us when I wasn’t sure I could carry on. In faithfulness he afflicted us, even when it didn’t make a lot of sense at the time. In faithfulness he has torn down the old and dying things inside us to prepare a way for something new. In faithfulness, he has given us more of himself – his strength, his consolation, his grace – when we had nothing left in ourselves. Sometimes I think we have been faithful because we had to rely on God. I feel like Peter when he said, “Lord, to whom would we go? You have the words of eternal life.” It’s not that I have great faith. I don’t even feel like a very good Christian sometimes. But I don't know how to live without God. His story is so wrapped up in me and in this past year, I couldn’t begin to unravel it. I couldn’t tell you where the ordinary ended and the sacred began. It seems that more often than not, the terrible and the beautiful danced hand in hand. So my word for the year is Faithful. When I look back, I see a LOT of sickness, a lot of trials, a lot of surviving. But over it all I see that we stayed faithful to the One who was faithful to us. Oh, we have not been successful, but we have been faithful. And I think, actually, that has been enough. We were healthy the entire first week of December. Adalyn and I had just recovered from the stomach bug that wiped us out after Thanksgiving, and we made it all the way until the evening of December 7th before Adalyn came down with a fever. That first week of December, we put up our Christmas decorations. 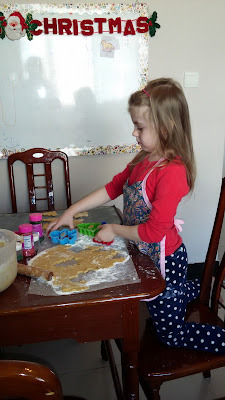 We had a magically calm cookie decorating experience. We lit our first advent candle, the candle of Hope, and I felt hope that our life could actually be manageable. I sorted through the girls clothes, and our jumbled medicine stash, and eliminated unneeded kitchen items. We couldn’t really pack anything yet, but I did what I could to get rid of anything we didn’t really need. Purging brings me inner peace. But the feeling peace did not last for long. The day we lit the second advent candle, the Peace candle, Nadia was already down with a fever. “It shouldn’t be too bad,” I thought. Adalyn only had a few days of cough and congestion, so I expected something similarly mild. It was appropriate that this was the week of Peace, because I felt anything but peace. I was so anxious I couldn’t think straight. I tried to count simple numbers to figure out her breathing rate, but I could not make sense of them. I kept reminding myself to breathe. My head was pounding from headache and fear. Over the course of one hour, I sent 20 emails back and forth with my mom and doctor-sister trying to figure out what to do. I have never been so worried about one of my children before, as I listened to her struggle to breathe, as I watched her oxygenation numbers, as she lay listlessly across my chest. At the hospital the next morning, the children’s waiting area was overflowing with sick children: babies crying, children coughing, some sounding even worse than Nadia. Dozens of parents and grandparents watched us curiously, ever the spectacle, but we were all in this together, worried and waiting. We were happy to return home after a few hours, but we almost headed straight back when her oxygen levels dropped dangerously low that afternoon. 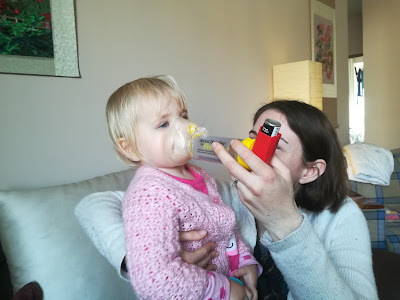 What relief to see the difference albuterol made! After an exhausting morning, carrying Nadia all around the hospital, the rest of the day and night were still stressful, monitoring her breathing, trying to decide if she needed to go back to the hospital. Late that night her oxygen level dropped disturbingly low, and we were already out the door to the hospital when her breathing improved dramatically. We lost sleep over worry about her breathing, over waking up frequently to give her medicine during the night, and over the effects of the medicine – Nadia was so hyped up she was running around crazy at midnight. Instead of napping, she has been climbing out of her crib. But finally she was breathing. Her fever dropped, she started eating some, she played and danced and climbed on the washing machine to explore the medicine cabinet and grabbed a cleaver in the kitchen. Back to the normal worries about keeping her alive. Yesterday we started the week of Joy. I struggle with joy more than the others. I am grateful for the promise of hope, I easily recognize the need for peace in the midst of my panic, but joy feels like a pressure. I should feel joy. Joy belongs to those other people – the ones with the matching Christmas trees and prettily wrapped presents and smiling children. The ones who like the happy carols instead of the wistful ones, who run around doing fun Christmas activities, who are full of optimism. Not the ones ready to sweep all the clutter straight into the trash, or the ones who whisper-yell at their children, “Go. To. SLEEP. Don’t you dare wake up your little sister! !” with angry eyes in the dark. Not the ones still scrambling to get presents ordered, or the ones with lights burned out two-thirds of the Christmas tree. Joy doesn’t belong to us. Last week I thought, “You know, this December has still been better than last year.” Which just goes to shows how terrible the last one was. This time last year, as I sat covered by the blackness of winter and sickness and depression, I wrote about waiting for the light. I certainly wasn't feeling the joy; I was just hoping to survive a few more weeks. 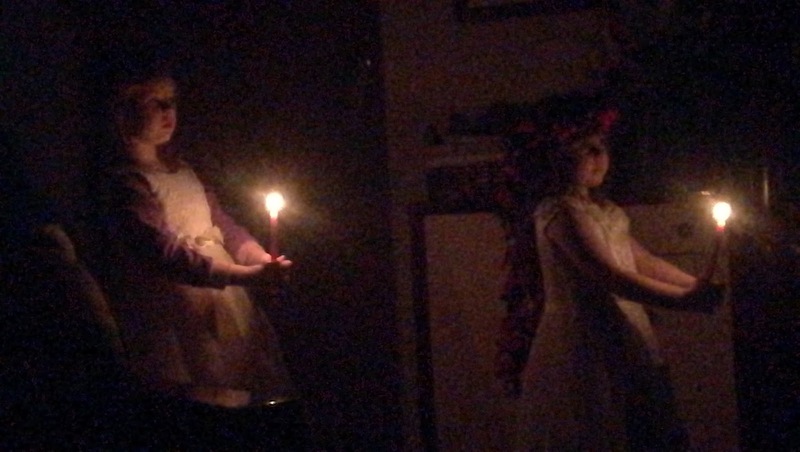 Adalyn Lucia leading our St. Lucia Day procession last week. Lucia means "bringer of light." And I remembered again: we aren’t the ones who have to make the joy happen. Anymore than we are ones creating peace or hope. A star bore witness to generations of hope finally fulfilled. Peace was not a silent night and an anglo-saxon baby who didn’t cry; He himself is our peace. The angel didn’t say, “Hey shepherds, get your joy on!” No, he came to tell them that joy had already arrived - joy in the most ordinary form of a newborn baby. Next week is the week of Love. And for you and for me it may be a week of whining and snapping and arguments and comparison and imperfection. We can be pretty bad at loving one another. What relief to realize Christmas is not about our love, it is how great the love the Father has lavished upon us. Sometimes we feel the joy and warmth and love. Sometimes we wait for it. At Christmastime, as nights reach their longest, the darkness seems to be winning, and some years the darkness steals straight into our hearts. But there is a Light that shines in the darkness and the darkness has not overcome it. We are the ones who wait. Expectantly, imperfectly, empty. til men and nation were at peace. Once upon a time I thought that sickness meant being sick. You feel gross, you take medicine, you press through when you have to and get extra sleep when you can, you get better. Then I had children. And my children got sick all the time. And I got sick all the time too. And I realized that sickness effects everything. Sickness is exhaustion. It is baby waking up every 10 minutes because she is too miserable to sleep. It is baby “sleeping” on top of you, elbow in your face, knees in your side, moving restlessly. It is middle of the night throw-ups: wiping faces, changing pajamas, stripping sheets, settling a pale child back into bed. It is daddy putting on new sheets while mama deals with crying child. It is the washing machine going in the middle of the night. It is lying in bed with children climbing all over you because you are too tired to get up in the morning. Sickness is nursing and nursing and nursing. It is wishing you had stopped nursing by now. It is being so glad you are still nursing, when your baby or toddler won’t drink anything else and is looking increasingly less pudgy than a few days ago. It is nursing your almost 2 year old in the middle of the night, even though you finally got her night-weaned months ago, because she is so miserable and just needs comfort. Sickness is an everlasting fever chart. It is peering confusedly at the medicine record, bleary eyed in the middle of the night. It is feeling that telltale hot forehead and knowing it is starting all over again. It is finally throwing out the fever chart and then reluctantly starting a new one the next day. It is owning 6 thermometers because somehow they never seem to work. Sickness is trying to keep track of who is supposed to have medicine. It is managing to get your children properly medicated but realizing you forgot to take your own medicines, again, even though you really aren’t supposed to miss it. Sickness is vitamin C and elderberry, probiotics and apple cider vinegar and essential oils and hand cleaner...and wondering if they will do any good against germs coughed directly into your mouth. Sickness is toddler who won’t leave your lap coughing into your food at every meal, and wiping her nose on your shirt, and drinking from everyone else’s water bottles. It is children who remember to cover their mouths...sometimes...and who use tissue to wipe their noses...when you remind them. 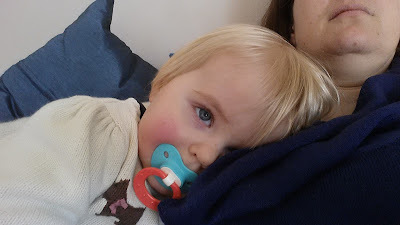 Sickness is coming down with your own sickness when already worn down from nights of comforting and days of carrying around a fussy, clingy baby. It is planning your day around possible naptimes. It is not having enough voice to read home school. It is dragging yourself out of bed to make chicken soup. It is children watching too much TV. It is everything you own exploded all over the floor. Sickness is slowly getting better – itching to clean that mess which is driving you crazy, catching up on home school reading with a scratchy throat, dealing with the dire laundry situation. It is arms so tired, hanging up the clothes. It is dizziness. It is the decision whether to press on or to lie down and rest. Sickness is trying to listen to your body, when it says you need to rest or you might fall over and die. But sometimes your body says, “What you really need is coffee. Lots of coffee and sugar and carbs.” And sometimes it says, “I hate you. Why are you so mean to me? How would you like some double pneumonia,” and you don’t need that kind of crap right now. Sickness is wondering why there isn’t more public recognition of the monumental milestone of “learning to throw up in a bowl,” because it may be second only to “sleeping through the night.” It is when everyone has been throwing up enough you start to hear phantom throw-up sounds. Sickness is toast and crackers and electrolyte popcicles. It is rejecting any food or drink. It is ravenous hunger before you are allowed to eat. It is excitement over the first real food – an egg or that blessed first peanut butter sandwich. Sickness is asthma flare-ups and extra inhalers and that barky, croupy cough going on and on. Sickness is lying in bed looking out the window at the waning sun, darkness falling over your room like a weight, like depression. It is the knowledge that you have spent almost all day in bed, and bed feels like a prison. It is summoning energy to get children to bed amidst the evening fever rise, feeling stale and dirty but too weak to shower, looking ahead to another sleepless night. Sickness is the disappointment of canceled plans. Missing a rare party or your child’s performance or a date with a friend. It is staying home with sick children during the holidays. It is having to tell your child that she won’t be able to go to the party she has been talking about all week. It is your toddler insistently bringing you her shoes wondering why she never gets to go outside anymore. Sickness is confinement. It is days without stepping outside the confines of the apartment. It is well-children going stir crazy, because you can’t even send them outside to play. It is well-children missing school because you don’t want to take the sick children out in the cold and pollution. Sickness is anxiety. It is looking helplessly at your listless child who has hardly sat up in two days. It is listening to your baby’s rapid heart rate and labored breathing. It is the dread of having to go back to the local hospital. It is self-prescribing. It is finally going to the hospital...waiting in lines and lines with sick people who touch your child’s face. It is the 30 second check up and antibiotics you hope are actually warranted. It is the fear that it could be something serious. It is searching Google, even though it will try to convince you it is cancer or TB or the plague. Sickness is kids who act like jerks, even when they aren’t the sick ones. It is being an even bigger jerk than your children, when you are supposed to be thirty years more mature. It is taking a while to even feel bad about being a jerk because the whole world is stupid and deserves your full wrath. It is parents snapping at each other, even though we know we are both just tired, so tired and not feeling well. It is hoping your kids forget the jerk-mom and remember the one who put a cool washcloth on a hot forehead. It is cups of juice with bendy straws and crackers to nibble. It is making meals you are too sick to eat. It is realizing your baby would sleep if only you stood rocking her for the next 10 hours. It is little heads drooped on big shoulders, little hands wound through hair. It is finally seeing the shine return to their eyes. If, of course, you aren’t too sick to notice.